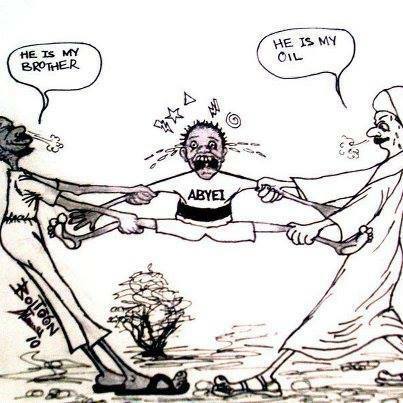 Why is Sayed Bona Malwal Betraying South Sudan by Selling Abyei to Khartoum? January 6, 2018 (SSB) —- Recently, Sayed Bona Malwal held a press conference in Khartoum on December, 4th, 2017, where he said, inter alia, that Abyei is part of Sudan and that it has never been claimed neither by the SPLM nor by South Sudan. Those utterances angered people of Abyei and other South Sudanese who described them as not only irresponsible from an elder but amounted to a betrayal to South Sudan national interest. Abyei people expected me, as in charge of Abyei file in the South Sudan Government, and other leaders who hail from the Area to immediately respond to Sayed Bona utterances. Some radicals even went as far as accusing us of having chosen silence in order to maintain our positions in Government despite the fact that they know Sayed Bona is not formally part of the Government of South Sudan. But since Sayed Bona was saying neither the SPLM nor GOSS has ever claimed Abyei as part of South Sudan, we preferred responses to come from the SPLM Party, the official Government spokesman or from the President’s press secretary since Sayed Bona mentioned H.E. President Salva Kiir in name in his audio clip. Since there is no official response so far, I am offering this personal response by virtue of being a citizen of this country and a member of the SPLM Party, hoping the official response will later shed more light and clarify some serious allegations made by Sayed Bona. Abyei and Bona Malwal: Are South Sudanese Sacrificing the Abyei Dinka to Khartoum? December 10, 2017 (SSB) — South Sudan that won independence from Sudan in 2011 was a news to everybody. This was because of the liberation struggle that took us more than several decades in the war. We are to remind ourselves that the independent South Sudan was also another independence of the SPLM/SPLA administrates areas. This was because of the strategy of the comprehensive peace agreements that gave South Sudanese their rights to be independent Country first and then liberated the administrates areas using public policies. I was personally convinced by this protocol since the same CPA that signed South Sudan peace agreement was the same CPA that was going to negotiated the SPLM/SPLA administrates areas. This was promising in the sense of togetherness and also in the sense of cohesiveness of Southern Sudanese who were united during liberation time in the Sudan. After the comprehensive peace agreements that addressed what the war was all about in Southern Sudan then the current situations in the Country never look likes the Country would in the future stand a chances to liberated the other SPLM/SPLA administrates areas that were together with South Sudanese during the liberation struggle and who were also in the comprehensive peace agreement with South Sudan after the independent South Sudan peace agreements. This was also seen in different bilateral relations between Sudan and South Sudan peace agreements. August 23, 2015 (SSB) — IGAD Ethiopian Mediator Seyoum Mesfin is beating the drum of the international war against South Sudan as if he is a vulture to eat the dead bodies of those who will be killed by military action or consequences of sanctions of the international community in South Sudan. Mesfin has lost his role as mediator, as peace broker, as neutral man, as midwife of peace and he has become a third rival in the conflict, this is proven by his war rhetoric , in explaining his Plan B , he use ‘’MUST language ‘’ , ‘’ peace must be signed , South Sudan must face international community ‘’ , this is not the language of the sober diplomat or arbiter , this is the language of paranoid rival. President Salva Kiir Mayaardit has fired Abdallah Deng Nhial, the National Minister for Environment, and a longtime Islamist with root in the Muslim Brotherhood of the Sudan, headed by Sheikh Hassan el-Turabi. As a fanatical follower of el-Turabi, Abdallah collaborated with Khartoum regime during South Sudan war for independence spearheaded by the SPLM/A. While Dr. Lam Akol’s name is synonymous with traitorship and collaboration with the North during and after the war of liberation, it is Abdallah that rightfully own that crown; Dr. Lam, it could be argued, has robbed him of the title. And so when he was appointed Minister for Environment during the recent cabinet overhaul this year, many South Sudanese had interpreted the appointment of such flawed character who spent his entire life collaborating with the North against the interests of Southerners as President Kiir’s pandering to Khartoum in an attempt to appease the Mullahs in Khartoum and keep the oil pipeline open. This wasn’t a farfetched conclusion because many of the appointees, still in President Kiir’s cabinet such as Riek Gai, have a chequred track record of serving the interests of the NCP of which they were (and still could be) members. Abdallah Deng’s dismissal from the cabinet yesterday (Nov. 26, 2013) came at a backdrop of a public altercation he had had with Machok Majong Jong last week. Hon. Machok is the MP for Gogrial West county from Warrap State, the constituency and state the President hails from. Because the relieved Minister had slapped an MP from the President home county, many South Sudanese have been quick to conclude that the President has taken side and fired the Minister to appease “his people” and redeem their butchered honor. But some commentators have gone deeper and further than that and are passionately claiming that the reason for the President’s move can only be better appreciated in the context of what the fired Minister allegedly said regarding Abyei, something that these observers surmise the president had wanted to be kept under wrap, forever. This is how the logic goes: President Kiir and Bashir have been meeting, on numerous occasions, over the issue of Abyei and some South Sudanese people do feel that the President hasn’t told the nation the whole truth regarding his discussions with Bashir and the North. For example, did the President trade off Abyei to have the oil pipeline re-opened? For those who fancy the President might have sold out Abyei, the crime committed by Abdallah Deng Nhial (who is very close to Khartoum and could be privy to the secretive dealings and trade-offs over Abyei), is not that he had dared to publicly slapped an MP from President Kiir backyard; rather it is that he has let the cat out of the bag by revealing something that would, if proven right, disgrace the President. That is “Abyei was already a gone case as part of South Kordofan”. Where did the good minister got that idea/information from? From his masters in Khartoum and then spilt it out in the heat of the moment, earning the wrath of both Khartoum and Juba? Of course, this view is not in the majority because most people probably believe that the utterance–and the public stance taken–by the North-affiliated Minister that arbitrarily consign Abyei to the North, is an outrageous crime to warrant his dismissal from the cabinet. Nonetheless, the fact that some South Sudanese people think it fit to link the President to such treacherous actions should be a wake-up call for the President in as far as he belabors to bring Abyei back to where it rightfully belong: South Sudan. Comrade Salva Kiir is a proud veteran of two wars: Anyanya-1 and the SPLM/A, including his indispensable patriotic works during the heydays of their Underground Movement. His resolve to have the CPA-mandated Southern Referendum conducted on time and fairly, and his craftiness and courage to oversee the Independence of South Sudan successfully–against all odds that had seemed insurmountable–are commendable and historical. However, the case of Abyei, more than the rampant corruption and mismanagements in Juba, could undo all those achievements within a blink of an eye if he (had) signs onto dots that handover Abyei to the North. President Kiir risks joining the ranks of Dr. Lam Akol and Abdallah Deng Nhial, among others, in the eyes of the patriotic South Sudanese people!! After the people of Abyei announced the results of their referendum on 31st October, the people of South Sudan overwhelmingly applauded the outcome and the way the referendum was conducted. While the official position of the government of South Sudan is yet to be made clear and public, the Council of States of Sudan has resolved to condemn and reject the outcome of Abyei referendum. The real question is for how long will the Government of South Sudan remains silent or ambivalent on the outcome of Abyei referendum? Given the dilemma facing the government of South Sudan not to make its position public, the national legislature of South Sudan should come up with a resolution that would reflect the will of the people of South Sudan on the outcome of Abyei referendum. There are strong and compelling reasons why the national legislature should recognize the outcome of Abyei referendum. It is undisputable fact that Abyei area as defined by the Hague Permanent Court of Arbitration is a territory of South Sudan that was administratively transferred by the colonial administration from South Sudan to Sudan in 1905. The aim of such transfer was to protect the Ngok Dinka from Arab slave raids and to ease administration and collection of taxes. The Ngok Dinka of Abyei were not consulted when such administrative transfer was made. Before the independence of Sudan, the colonial administration according to its annual report of 1951/1952 on the administration of Sudan granted the Ngok Dinka of Abyei the right to return back to the administration of the South after five (5) years. In pursuit of this right, the Abyei youth sent their representatives to Fulla in Kordofan in 1954 to raise with the colonial administration their exercise of the right to return back to the administration of the South, but they were arrested. Subsequently, the right to return to the South was not exercised by the Ngok Dinka within the specified period. During the first civil war, the Ngok Dinka participated very well in the liberation struggle for the independence of South Sudan. People like Akonon Mathiang, Ayok Deng, Dominic Kuol and Dodol Nyang to mention few from Abyei played a great role in the first civil war. In particular Akonon Mathiang made a remarkable contribution in Bahr El Ghazal as he became a commander of Gogrial, Tonj, Lakes and Northern Bahr el Ghazal where he succeeded to cut the rail link between the North and South. Also Dominic Kuol was among the three officers accompanied Captain Bernardino Mou who was sent to launch the military operations in Bahr el Ghazal region and they succeeded to attack Wau in January 1964. During the negotiations of Addis Ababa Agreement in 1972, the South Sudan Liberation Movement (SSLM) demanded administrative transfer of Abyei area back to South Sudan as it was transferred administratively by the colonial administration from the South to North. In resolving the issue of Abyei, the Addis Ababa Agreement defined the region of South Sudan with its boundaries as they stood on January 1, 1956, and any other areas that were culturally and geographically a part of Southern Complex as may be decided by a referendum. This right of referendum for the Ngok Dinka was denied by Sudan. In the South, the intellectuals of Abyei in Juba joined the “wind of change” movement because of their unhappiness with Abel Alier, the first president of the Southern Regional Government, over his lukewarm towards the conduct of Abyei referendum. This movement targeted the presidency of Abel Alier and endorsed the presidency of the former Anya Nya leader, Mr Joseph Lagu with the hope he would stand firmer than Abel Alier in challenging President Nimeiri on the issue of Abyei. In recognition of the role played by people of Abyei in the first civil war, Dr Zacharia Bol was elected to the Southern parliament for the seat of graduates in the 1978 elections and then elected as deputy speaker of the parliament. The newly elected parliament passed a resolution to annex Abyei area to the territory of Southern Region. However, the newly elected president of the Southern Region, Mr. Joseph Lagu did not act on this resolution. In the elections of 1980, the intellectuals of Abyei, after being disappointed by the inaction of Mr. Joseph Lagu on the resolution of the parliament, decided to support Abel Alier for the presidency of the regional government. Abel Alier was overwhelmingly elected as the president of the regional government and he formed his government which included Dr Zacharia Bol as a regional minister of health. The newly elected Regional Assembly passed again a resolution to annex Abyei area to the territory of the South and asked president Abel Alier to forward this resolution to the central government for implementation. Learning from his previous experience as the president of the regional government, Abel Alier was firmer this time and he courageously raised the issue of Abyei among other issues with the central government. Annoyed by the position adopted by president Abel Alier, President Nimeriri dismissed in 1981 the regional government and regional assembly and appointed Mr. Gissmallah Abdalla Rassas to oversee the process of dismantling the Addis Ababa Agreement and the division of the South. It is also a common knowledge that the second civil war started in Abyei and people of Abyei played a great role in the second liberation struggle. People like Miokol Deng and Bagat Agwek to mention few from Abyei played a critical role in the formation of Anya Nya II in Bahr el Ghazal and that contributed in shaping the early formation of SPLM and its leadership in the early 1980s. During the CPA negotiations, the SPLM/SPLA took a similar stance as that of SSLM in 1972 of demanding administrative transfer of Abyei to South Sudan. The SPLM/SPLA accepted simultaneous conduct of Abyei referendum with that of South Sudan to ensure that Abyei is not left out. When Sudan refused the conduct of Abyei referendum, the nine Ngok Dinka Chiefdoms prepared themselves to declare their decision to become part of South Sudan on 9th January 2011, the first day of the conduct of Southern Sudan Referendum. However, the SPLM intervened and convinced the people of Abyei not to take such decision and not to jeopardize a peaceful conduct of Southern Sudan Referendum. The Government of South Sudan accepted the AU Proposal on the final status of Abyei including the conduct of Abyei referendum in October 2013. President Salva, after failing to convince President Bashir to accept the AU Proposal on Abyei, wrote to the AU that he reached stalemate with Bashir over Abyei. The South Sudan Parliament, after the assassination of the Ngok Dinka Paramount Chief Kuol Deng, resolved on 24th June 2013 to call upon the Government of South Sudan to ensure the conduct of Abyei referendum in October 2013. After exhausting all avenues and waiting in vain for the conduct of their referendum by international community, the people of Abyei conducted their referendum as proposed by the AU and decided with overwhelming majority of 99.98% to become part of South Sudan. If Southern Sudan Regional Assembly within united Sudan and without a referendum could boldly resolve in 1978 and 1981 to annex Abyei area to Southern Sudan, the current South Sudan Parliament in a new independent country is in a far better position not only to recognize the outcome of the referendum but also to ensure its implementation. In fact the recognition of the outcome of Abyei Referendum by South Sudan Parliament is urgent and necessary as it will provide a clear direction to the government of South Sudan. Although the Government of South Sudan has implicitly recognized the outcome of Abyei referendum, the resolution by the parliament to recognize the outcome will strengthen the position of the government in engaging with Sudan, African Union and international community. With such recognition, the Government of South Sudan will then adopt appropriate measures including diplomatic outreach to realize the full implementation of the popular decision of the Ngok Dinka of Abyei area. The leaders of Misseriya have given an ultimatum of 72 hours to Juba, Khartoum, AU, UN…. The leaders of the Misseriya have delivered a petition to the Sudanese President Omar Al Bashir, the South Sudanese president Salva Kiir Mayardit, the African Union and the United Nations demanding the cancellation of a unilateral referendum held by the Ngok Dinka in the contested area. All agreements signed on Abyei with the Sudan People’s Liberation Movement (SPLM) should be repealed, according to the Misseriya leaders. The leaders have given an ultimatum of 72 hours to the bodies mentioned to meet their demands. In a press conference at the Federal Government Chamber in Khartoum, the Nazir of the Misseriya, El Amin Osman Harika, stated that what is taking place in the Abyei region is a gross violation of laws. “The Ngok Dinka want to drag the neighbouring communities to the battle field. The Misseriya are ready for it!“ he said. “Either we live a decent live or we will be buried in Abyei land” Harika added. Results for the unilateral Abyei referendum for self-determination are out. The total registered voters were 64,775, and out of that, 63059 voted for secession from Khartoum and in favor of a union with Juba, while paltry 12 votes were cast in favor of Khartoum. 362 were invalids. That translates to 99.99% Abyei votes for South Sudan while Khartoum comes at a distant thousandth with 0.01% of the votes. Shame on the TOOTHLESS AU AND ESPECIALLY ON MADAM JACOB ZUMA….she can go to hell or commit suicide if she prefers that…..HOW DARED SHE COLLUDED WITH THE ARABS AGAINST HER OWN AFRICAN PEOPLE? IN WHICH UNIVERSE WOULD AN ARAB OR ARAB ORGANIZATION GO AGAINST AN ARAB INTEREST? ONLY IN AFRICA AND WITH AFRICANS WOULD SUCH black swan OCCURS! ABYEI OYEE! SHAME ON JUBA TOO……how about that: 99.99% vote against your incriminating protest? Silence would have been golden on your part had you ears to hear, eyes to see, heart to feel and mind to think! Juba (AFP) – Counting began Wednesday in an unofficial referendum in the flashpoint Abyei region to decide if it lies in Sudan or South Sudan, observers said, amid African Union warnings the poll is a “threat to peace”. The fate of Abyei is one of the most important and sensitive issues left unresolved since South Sudan became an independent state in 2011, ending two decades of civil war in Sudan. “The laborious process of counting the number of ballots cast has begun,” said Tim Flatman, an independent observer in the disputed district, calling the counting a “slow but very transparent process”. The majority of 65,000 registered voters are believed to have cast their ballots in the three-day long poll which closed Tuesday evening. Results were expected later Wednesday or Thursday. AU chief Nkosazana Dlamini-Zuma has said the vote was illegal and its organisers were risking sparking a return to war between civil war foes in Juba and Khartoum. “We will not accept a unilateral decision being passed, And if the people of Abyei decided to join us, we will not be ready to accept them”, said the DISHONORABLE Minister, Michael Makuei Lueth. The Peace and Security Council of the African Union (AU), at its 401st meeting held on 21 October 2013, exchanged views on the situation in the Abyei Area. Council expressed deep concern at the prevailing situation in the Abyei Area. Council welcomed the planned meeting between President Omar Hassan Al Bashir of the Republic of Sudan and President Salva Kiir Mayardit of the Republic of South Sudan, in Juba, on 22 October 2013, as part of the ongoing efforts to consolidate the progress made in the normalization of relations between the two countries and to address outstanding issues in their relations. Council strongly appealed to the two Heads of State to seize the opportunity of their Summit meeting to take concrete steps to address the challenges at hand in Abyei, as outlined in communiqué PSC/AHG/COMM/2. (CCCXCVII) adopted at its 397th meeting held at the level of the Heads of State and Government, in New York, on 23 September 2013. Council reiterated its earlier communiqués and press statements on the issue of Abyei, including its acceptance of the Proposal submitted by the AU High-Level Implementation Panel (AUHIP), on 21 September 2012, as representing a fair, equitable and workable solution to the dispute between the two countries, which takes into account existing Agreements entered into by the Parties, as well as the needs and interests of the communities on the ground. Council called on the two countries to resume their discussions on the final status of Abyei on the basis of the AUHIP Proposal, bearing in mind the need to ensure that Abyei serves as a bridge between Sudan and South Sudan, as envisaged in the Abyei Protocol of the Comprehensive Peace Agreement (CPA). Council further reiterated the need for the expeditious implementation of the Agreement on the Temporary Administrative and Security Arrangements for the Abyei Area of 20 June 2011; the facilitation of the rapid and safe return of refugees and displaced persons and the peaceful migration of nomadic pastoralists during the coming dry season; the full demilitarization of the Abyei Area, including the withdrawal of the police force stationed in Diffra and its replacement by the Abyei Area Police Service; as well as the mobilization of assistance for Abyei and the implementation of the commitment to provide 2% of oil revenue originating from Abyei for the development of the Area. Council also stressed the urgency of establishing the Abyei Area Referendum Commission, including the review and adoption of a revised referendum law in line with the AUHIP Proposal and the submission by the two countries of the list of their nominees to the AUHIP. Council, once again, made an urgent appeal to the Parties to refrain from any unilateral action and statement that may impede progress towards the search for a lasting solution. Council agreed to review the situation in Abyei in light of the outcome of the Summit meeting between the two Heads of State, and to finalize the arrangements for its impending visit to Abyei, as decided in communiqué PSC/MIN/COMM.1 (CCCLXXXVII) Rev.1, adopted at its 387th meeting held on 29 July 2013. Senior officials, including information minister Michael Makuei Lueth, have also asked editors and senior reporters from both public and independent media houses, as well as opinion writers to “observe ethics and objective” reporting. He further stressed that all media coverage should reflect public interest on issues relating to the conduct of a planned referendum to determine the fate the contested region of Abyei. “The suspension was done to allow the government [to] put in place processes for [the] Abyei referendum in an organised and responsible manner”, he said. “I have seen that the process is being abused. There are some people who just show up at the station to talk unnecessarily”, he added. Lueth said the measures are being put in place to prevent media representatives making irresponsible or incorrect statements on the issue. They (media organisations) need to be guided by allowing them to comment on the issues they think they have clear knowledge about, instead of making it an open talk show”, he said South Sudanese officials complained from the abrupt shift in the nature of the campaign for Abyei referendum saying some guests in radio and TV shows made irresponsible statements against the government, African Union and Sudanese government. Lueth, who was speaking on behalf of the government, made the remarks at a press briefing on Thursday, during which he explained that public media should not be used responsibly in order to avoid misinterpretations. “We know that there is a campaign for the people of Abyei to be mobilised to return to their homes so that they take part in the all the processes of the referendum when necessary arrangements have been [put] in place, but this mobilisation must be carried out in a responsible manner so that it avoids misinterpretations, especially when these activities are broadcast by the government media”, he said. South Sudanese government unexpectedly issued strong administrative instructions, suspending all announcements and mobilisation campaigns in support of the Abyei referendum, according to senior officials. The directive, issued late on October 15, affects state-owned South Sudan Television and Radio but cites no specific reasons for the cessation of communications about the plebiscite, which was scheduled to take place this month. “The management of the South Sudan Television and Radio has received directives from a higher authority to immediately suspend all announcements and mobilisation campaigns in support of Abyei referendum. We were told to implement them (administrative orders) with immediate effective. There was no mention of any reason”, a senior official at South Sudan Television told Sudan Tribune on Wednesday. The Safe Demilitarized Border Zone Between Sudan and South Sudan. Almost a year has passed since the 27 September 2012 agreements, which committed both Sudan and South Sudan to implement a Safe Demilitarized Border Zone (SDBZ) along their mutual border, following a map drawn up by the African Union High-Level Implementation Panel (AUHIP). Despite numerous declarations to the contrary, both countries retain troops within the SDBZ, and the Joint Border and Verification Monitoring Mechanism (JBVMM), which was designed to oversee the demilitarization of the border, remains effectively inoperative. From September 2012 to March 2013, no moves were taken to implement a SDBZ. However, on 8 March 2013, both countries agreed on an implementation matrix to put the 27 September agreements into effect. Initially, both countries removed some of their troops from the border region, with the Government of Sudan (GoS) claiming that it had withdrawn from the SDBZ on 26 March, and the Government of the Republic of South Sudan (GRSS) echoing their claim on 11 April. Women carried their belongings into Gumuruk, South Sudan, where displaced people sought refuge to escape the ethnic and military violence. More Photos ». AU’s Resolution: A New Interim Period for Abyei? 18. Decides to remain actively seized of the matter. The location of Heglig/Panthou has been badly and inaccurately reported for weeks, in no small measure because of diplomatic blundering by the U.S., the European Union, the African Union, and the UN. A corrective is desperately needed, and we will have no more authoritative account than the substantial overview provided here by distinguished Sudan historian Douglas H. Johnson. Among his many other qualifications, Johnson was a member of the Abyei Boundaries Commission (ABC) established by the Abyei Protocol of the Comprehensive Peace Agreement (2005). Let us be clear at this urgent moment: the issue of Heglig/Panthou is of fundamental importance in resolving present military confrontations along the border regions between Unity State (South Sudan) and South Kordofan (northern Sudan), and must be addressed honestly and on the basis of all available information. In light of the present 48-hour countdown to a North/South cease-fire—a deadline set by the UN Security Council this morning (May 2, 2012)—the issue cannot be finessed or avoided. It is imperative that UN Security Council members, the AU, the EU, and the U.S. back away from previous peremptory and unjustified assignments of Heglig/Panthou to northern Sudan. Not to do so will, no doubt, please Khartoum; but it make all-out war distinctly more likely, given the intensity of recent fighting in the Heglig/Panthou region, and the military testing that Khartoum’s Sudan Armed Forces (SAF) will undoubtedly begin on the expiration of this 48-hour period. This is the most likely precipitant of renewed violence, should a cease-fire take hold. Juba is all too aware of the geographic presumption that has guided previous international pronouncements on Heglig/Panthou; if this presumption persists, the Southern leadership will lose confidence in key members of the international community essential to any peaceful mediation. Johnson’s account full account, with critical historical maps, is available upon request as a PDF attachment; the text alone can be found below. “Given the history of the Panaru area outlined above, any government or international body that declared that Heglig is ‘internationally recognized’ as part of Sudan has been premature at best and prejudicial to a final resolution at worst. “The question that has to be resolved, in the terms of the CPA, is whether Panthou/Heglig is east or west of the boundary line established in 1931. If east, it is part of Unity State; if west, it is part of Southern Kordofan. If it is part of Unity, it is part of South Sudan; if it is part of Southern Kordofan it is part of Sudan. The Rueng Dinka territory of Panaru is at the centre of the debate over the location of Panthou/ Heglig. The Rueng, who are now contained within Unity State in the Republic of South Sudan, neighbour the Ngok Dinka and originally were administered along with them as part of Kordofan Province. Their current location in Unity State, and the disputed location of Panthou/Heglig is the outcome of a series of administrative transfers in the early twentieth century. Commencing from a point on the existing Province Boundary midway between Debba Mongok and Debba Karam Nyet (Lat. 9º 21′ Long 28º 38′) the boundary runs in an easterly direction until it meets Khor Amadgora. Thence northwards to the Bahr el Arab leaving the village of Rumla Ngork to the Upper Nile. Thence in a N. Easterly direction to the Raqaba ez Zarqa at a point 1/2 mile west of Tibusia, thence along the Raqaba ez Zarqa to ‘Aradeib, thence eastward along Lat. 9º 45′ to the old Kordofan – Upper Nile boundary, thence north along that boundary and continuing along the old Kordofan N.M.P. boundary to Lat. 10º 5’ marked on the map ‘Clump of Heglig’ thence N. Easterly to a point 3 miles due west of the centre of Lake Abyad [Lake Jau], thence due east to the eastern shore of the Lake, thence S.E. through the Fed Abu Finyer to the Rest House at the point where the Tonga-Talodi road crosses the Haqaba south of Abu Qussa, thence up that Raqaba to where it joins the existing Province Boundary. This was the official provincial boundary line in effect when Sudan became independent on 1 January 1956. The Sudan Survey 1:250,000 maps 65-H and 65-L on which this boundary was marked (see Map 2), and on which all subsequent maps of the area are based, was last updated for topographical detail in 1937. The area bisected by the line is mainly a blank space. Aside from marking some water sources and the occasional clump of heglig trees (Balanites aegyptiaca, hijlij in Arabic and thou in Dinka) no villages or annual cattle camps, no place names of ‘Panthou’, ‘Aliny’ or even ‘Heglig’ are recorded. The reason is that this area lay outside administrators’ usual trek routes. The maps record the main lines of communication and main waterways. They document the limits of administrative knowledge, not the full scale of indigenous settlement. The discovery of oil in the late 1970s created immediate tensions between the central government in Khartoum and the Southern Regional Government in Juba. Oil was declared a national resource, and official announcements from Khartoum were vague about the location of the main oil fields, stating only that they were located some 500 kms south of Khartoum. The first fields to be developed were given names such as ‘Unity’ and ‘Heglig’ which disguised their location, and the Chevron oil company basing its headquarters in Muglad rather than Bentiu. In 1980 the national parliament attempted to redraw the boundaries of Upper Nile Province with the passage of legislation establishing new regional governments in northern Sudan, and the map accompanying the legislation annexed the oil fields to Kordofan. This map was withdrawn after protests from the Southern Regional government. One of the first fields to be developed was at Panthou, meaning the place or village of the Balanites aegyptiaca in Dinka. The name was changed to Heglig in Arabic. Nimeiri proposed to create a new Unity Region by amalgamating Western Upper Nile District, Abyei and parts of Southern Kordofan, but in the end only Western Upper Nile was renamed Unity when the Southern Region was abolished in 1983 and Upper Nile Region was reconstituted by re-uniting Upper Nile and Jonglei Provinces. 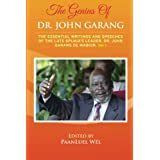 Up through 2003 it was generally understood that Panaru, or Heglig, was part of the Unity State administration, and the National Congress Party-appointed governor of Unity State, Dr. Joseph Monytuil described it as such in his 2003 annual report. In mid-2004, as the CPA negotiations were drawing to a conclusion, he was informed by Dr. Nafie Ali Nafie, then Minister of Federal Government Chambers in the office of the Presidency, that he was mistaken, and ‘that Heglig does not belong to Unity State as it appeared in your aforesaid map but it belongs to Western Kordofan State as indicated in the accompanying map approved by the National Survey Corporation, for information and correction of the map of Unity State referred to’.9 The accompanying map identifying this correction is not detailed enough to determine whether Heglig is located in relation to the 1931 provincial boundary line at 29° 32′ (and some seconds), or the line has been moved east in order to include Heglig in Western Kordofan. It should be noted that the two protocols of the CPA affecting the division of oil revenues – the Wealth Sharing Protocol (7 January 2004), and the Abyei Protocol (26 May 2004) – were signed before the date of Nafie Ali Nafie’s letter (14 June 2004). Placing Heglig in Western Kordofan would therefore have been done in full knowledge that only the revenue from fields within South Sudan would be shared. It has been commonly asserted that the 2005 Abyei Boundaries Commission (ABC) allocated Heglig to Abyei, and the 2009 ruling of the Permanent Court of Arbitration (PCA) finally determined that it was part of Sudan. Neither assertion is strictly correct. The ABC was tasked to determine the territory of the nine Ngok Dinka chiefdoms transferred from Bahr el-Ghazal to Kordofan in 1905. We were enjoined repeatedly by the members of the government delegation not to take into consideration any developments in the territory that post-dated 1905. This meant in practice that the development of cotton cultivation in the Nyama area, the construction of the railroad passing through Meiram, and drilling of oil wells were irrelevant to our deliberations and were not to be a factor in our decision. The maps we had at our disposal and which we examined for topographical, demographic and historical evidence therefore did not include details of the recent establishment of the oil industry in and around the area. We did ask the Sudan Survey Authority for copies of the most recent editions of the 1:250,000 maps to compare them with the historic maps we had consulted, but we never received the maps we requested. Our understanding of the oral testimony we gathered from the Ngok and Rueng groups we spoke to was that Ngok and Rueng territories were contiguous, which is, in fact, how they are depicted on the Sudan Survey 1:2,000,000 tribal map of Southern Sudan (Map 1). We knew from the historical records referred to above that the Rueng were transferred, bit by bit, from Nuba Mountains, Bahr el- Ghazal and Kordofan to Upper Nile, and that the province boundary drawn on the map in 1931 after the final transfer was complete represented the dividing line between Rueng and Ngok territory. We drew our boundary up to that line, which was also the provincial boundary line in existence in 1956. The ABC did not push the boundary line east in order to include Heglig in Abyei. Heglig is mentioned only once in passing in our report (as part of an SPLM submission which we did not accepted in full), and it does not appear on any of the maps accompanying the report. If Khartoum moved the boundary to include Panthou/Heglig inside Western Kordofan (as is suggested by Nafie Ali Nafie’s 2004 letter and Map 3), that does not affect our decision in any way, since we were using the 1931 boundary as a fixed point on which we could anchor Abyei’s northern boundary line, not the boundary between Western Kordofan and Unity as it was in 2005. Panthou/ Heglig was part of the ABC award only if its location is west of the 1931 boundary line. If its location is in fact east of that line, then it could not have been included in the ABC award. The PCA did not give the same weight to oral and historical evidence as we did when reviewing the eastern border of the Abyei Area. Their decision to adjust the boundary was based on their assessment that we had not given sufficient reason in the ABC report for adopting the old Kordofan–Upper Nile boundary as the eastern boundary of the Ngok territory. The PCA made no ruling about Panthou/Heglig itself, or about any other portion of the 1956 boundary line. To do so would have exceeded their mandate, and had the court exceeded their mandate no doubt the Sudan government would have objected. Given the history of the Panaru area outlined above any government or international body that declared that Heglig is ‘internationally recognized’ as part of Sudan has been premature at best and prejudicial to a final resolution at worst. The question that has to be resolved, in the terms of the CPA, is whether Panthou/Heglig is east or west of the boundary line established in 1931. If east, it is part of Unity State; if west, it is part of Southern Kordofan. If it is part of Unity, it is part of South Sudan; if it is part of Southern Kordofan it is part of Sudan. We know from the above summary that up through 2003 Heglig was generally assumed to be part of what is now Unity State. The boundary changes proposed in the national parliament in 1980 explicitly acknowledged this, as did the 1983 proposed route for the oil pipeline. If Juba can prove that Khartoum either moved the boundary or falsified the map in 2004 then they win their case. But it must be remembered that map evidence is only a representation of the situation on the ground. Maps can be imprecise, inaccurate, or false. Testimony, whether documentary or oral, on how the area was administered since 1931 is as important, if not more important, in determining the jurisdiction over Panthou/Heglig. All such evidence should be considered in order to reach a fair and just solution to this dispute. 1 Butler, ‘Report on Patrol in Southern Kordofan’, 14 February 1902, National Records Office, Khartoum [NRO] CAIRINT 3/5/92. 2 Sudan Intelligence Report [SIR] 154 (May 1907), NRO INTEL 6/5/16. 4 Governor Kordofan Province to Civil Secretary, Khartoum, 3 January 1927 NRO Bahr el-Ghazal Province [BGP] 1/5/30. Sudan Monthly Intelligence Report 399 (October 1927), NRO INTEL 6/16/55. 5 J.A. Gillan, Governor Kordofan to Governor Bahr-el-Ghazal, 1 July 1929, NRO BGP 1/5/30. 6 C.A. Willis, The Upper Nile Province Handbook, Oxford University Press for the British Academy, 1995, p.306; ‘Alteration of boundaries between Kordofan and Upper Nile Province’, Sudan Government Gazette 546, 15 May 1931, p.115 (Sudan Archive Durham vol. 1931; The National Archives, Kew, FO 867/43). 8 Human Rights Watch, Sudan, Oil, and Human Rights Abuses, New York & Washington, DC, 2003. 9 Dr. Nafie Ali Nafie, Minister, Federal Government Chambers, Khartoum, to Dr. Joseph Monytuil, Governor, Unity State, 14 June 2004. April 26, 2012 — There have been a number of concerning statements in the press, in reports from NGOs and third parties, including from Member States of the United Nations and African Union, that Heglig (known as Panthou by most South Sudanese) is an area lying within the territory of the Republic of Sudan. The Republic of South Sudan (South Sudan) was also surprised to hear that so many members of the international community were unaware that South Sudan has claimed this area as its own and consistently included it as one of the disputed areas requiring peaceful settlement with Sudan. This confusion over Panthou also prevails among the people of South Sudan and surprisingly among their leaders. I was particularly shocked by a statement made by a senior member of our government in a high level informal gathering that Heglig has been compromised by the final award of the Abyei Arbitration Tribunal. As I tried to clarify to him certain facts about the ruling of Abyei Arbitration, this senior official kept insisting on his conviction and the more he was arguing the more he was exposing his ignorance about the issue. I came to know that if it could take me such effort to convince a senior official about Heglig, there also must be a knowledge gap for others further away from the talks between the two States. As the Co-agent of the Sudan People’s Liberation Movement together with the Vice President Dr. Riek Machar to the Abyei Boundaries Arbitration Tribunal and a member of the SPLM team for post-referendum negotiation and designated to oversee the work of the Technical Ad-hoc Border committee (often called the “North-South Border Committee”), I would like to clarify the confusion over Panthou (Heglig) and the final award of the Abyei Arbitration Tribunal and the claim of the South Sudan over Panthou. Immediately after the announcement of the final award of the Abyei Arbitration Tribunal on 22nd July 2009, I made statement on the following day in Elsahafa newspaper that the award did not resolve the North-South border and based on the evidence available I said that Heglig remains to be part of Unity State. When I tried to retrieve this statement from the electronic archive of Elshafa newspaper for this article, the access to this statement was specifically denied and restricted by the Sudan national security but I managed to get a hard copy of the newspaper. This tells more about how the regime in Khartoum would like to conceal facts from the public over Heglig. Ngok Dinka chiefdoms transferred to Kordofan in 1905.” (see http://www.pca-cpa.org/upload/files/Abyei%20Arbitration %20Agreement.pdf). This is what the tribunal did. As a result, the PCA decision only defined the border limits of the Abyei Area. The tribunal issued no opinion with respect to the political status or location of Heglig or any other area in Sudan or now South Sudan. Indeed, in the entire 286 pages of the PCA decision, the tribunal mentions Heglig only once and that was simply to describe the Ngok Dinka’s assertion that there were permanent settlements and agricultural areas in Heglig back in 1905. (see http://www.pca-cpa.org/upload/files/ Abyei%20Final%20Award.pdf). In particular, the Tribunal rules that the ABC Experts were not in excess of mandate regarding their decision over the southern boundary of the Abyei Area. The final and binding decision of ABC states that the Southern Boundary shall be the Kordofan-Bahr el-Ghazal-Upper Nile boundary as it was defined on 1st January 1956. As a result, arguing that the PCA decision determined the status of Heglig has as much validity as arguing that it also determined the political status and location of Juba or El Obeid — simply because neither of those cities were found to be within the Abyei Area. Regarding South Sudan’s claim on Heglig, this is not a new assertion of South Sudan. For years now South Sudan has consistently and openly claimed Heglig as part of its territory, including (i) in the context of the Technical Ad-hoc border Committee established by the Comprehensive Peace Agreement (CPA), (ii) after the issuance of the PCA decision, and (iii) within the context of the negotiations with the Government of Sudan as facilitated by the African Union High Level Implementation Panel (AUHIP). During the deliberations of the Technical Ad-hoc border Committee the South Sudanese delegation consistently raised its claims to Heglig, albeit the Government of Sudan refused to acknowledge those claims. 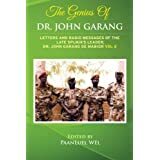 The disputing claims over the area were well known and the difference of opinions on Heglig were evidenced, for example, in the October 24, 2010 joint letter of the Chairman and the Deputy Chairman of the technical committee outlining the “Views of the Parties on the Disputed Areas.” This letter was written and presented to the Joint Political Committee (of the National Congress Party and Sudan People’s Liberation Movement). In the document, the NCP’s Chairman, Professor Adallah Sadiq, listed four disputed areas and the Deputy Chair, Riek DeGaol Juer, then presented (8) disputed areas which included what was referred to as the ’South Kordofan/Unity state sector (Heglig). Furthermore, immediately after the PCA decision was released Vice President Riak stated that Heglig’s final status would need to be determined by the Technical Ad-hoc Border Committee established by the CPA. For instance, as reported by the Sudan Tribune on July 27, 2009, the Vice President stated that Heglig was not part of the ruling in the Hague, but “It will be resolved in the North-South border demarcation process.” (see http://www.sudantribune.com/There-a…). Additionally, the Government of Southern Sudan prior to secession and the Government of South Sudan post-secession, repeatedly asserted in the context of the AUHIP-facilitated negotiations with the Government of Sudan claiming Heglig as belonging to South Sudan and therefore placing it on the list of “disputed areas” requiring further settlement. For instance, on June 28, 2011 and in November 2011, SPLM/GoSS and South Sudan respectively submitted a clear written proposal stating “The six (6) disputed areas are: (i) Wanthou (Joda); (ii) Maganis; (iii) Kaka; (iv) Northern Bahr el Ghazal; (v) Kaffia Kanje and Hofrat el Nahas; and (vi) Panthou (Heglig)”. South Sudan tabled similar language during the February 2012 round of negotiations, and reaffirmed this position in its oral and written submissions made during the March 2012 negotiations. Indeed, the failure of the parties to agree on the list of disputed areas (including Heglig) and to agree on the mechanism for settlement —with the South proposing international arbitration, is the primary reason an agreement addressing the disputed border areas was never even initialed in March 2012. What is indisputable is that South Sudan claims Heglig as theirs and Sudan claims it as theirs. The fact that Sudan has refused to “agree” that it is disputed —both in the context of the Technical Ad-hoc Border Committee and in the Addis negotiations— does not make it any less a disputed area. Those who would refuse to support the submission of Heglig to a peaceful dispute resolution mechanisms because it is not an “agreed disputed area” are playing a dangerous game by leaving a critical matter unresolved between the parties which can result in continued hostilities. The purpose of the negotiations is to address such matters, not leave them to foment distrust and violence in the future. In closing, as shown from the above, the PCA decision did not decide the final status of the Heglig area and South Sudan’s claim over the area and its status therefore as a disputed area as between the two States is not a new claim, but rather one that has been consistently made for several years and witnessed by the AUHIP and other observers to the Addis negotiations. Luka Biong Deng is a senior member of South Sudan’s ruling SPLM. 1.1 The JDB shall deploy a new JIU battalion within a maximum of ten days from the date of adoption of these resolutions by the Presidency; the new JIUs battalion shall be constituted from new elements other than those elements of the former Abyei JIUs battalion as per the resolution of the CPC issued on 27/5/2008. The Parties urge the JDB to learn the lessons from the experience with the former Abyei JIUs battalion and expedite training and integration process to make this new battalion a model unit and more effective. 1.2. Police shall be deployed in the area after consultation between the National Minister of Interior and Minister of Internal affairs of Government of Southern Sudan within two weeks from the date of adoption of these resolutions. 1.3. UNMIS force in abyei area shall have free movement and access to the north and south of Abyei area to carry out its mandate as specified in the CPA. 1.4. With the deployment of the new JIU battalion and police force in the area and resumption of their duties, SAF and SPLA troops shall be redeployed beyond the Abyei administrative area as per the attached map. 1.5. The Parties condemn the incidents that took place recently in Abyei and confirm the CPC resolution to immediately investigate the incidents by CJMC plus additional members as shall be agreed upon by the Parties. 2. 1. The civil population shall return to their former homesteads on completion of the above mentioned security arrangements, which are expected to finish before the end of June 2008. 2. 2. The GoNU shall take all arrangements for availing the resources for the return programme for the civil population and with the involvement of the relevant international agencies and organizations, which shall be implemented through the Abyei Area Administration. 3.1. The Presidency shall set up Abyei Area Administration as per the provisions of the CPA within two weeks from the date of the adoption of these resolutions. 3.2. The interim boundaries of the administration of Abyei Area shall be as per the attached map. 3.3 The administration of Abyei Area shall be accorded special administrative status and perform its functions as per the provisions of the Abyei Protocol. 3.4 The Presidency shall appoint Chief Administrator as nominee of the Sudan People’s Liberation Movement (SPLM) and Deputy Chief Administrator as nominee of the National Congress Party (NCP) from among the residents of Abyei area as per provisions of the CPA. The Parties shall observe in their nominations considerations of amity, reconciliation and accord. 3.5. The Chief Administrator, in consultation with Deputy Chief Administrator, shall make recommendations to the Presidency for the appointment of the heads of departments and members of Abyei Area Council from among the residents of Abyei area as per the provisions of the CPA. 3.6. The Presidency to avail the necessary funds to the Abyei Area Administration for delivery of basic services and running of administration in accordance with the provisions of the CPA. 3.7. The Presidency shall initiate the peace and reconciliation in the area in collaboration with the administration of the area and the surrounding communities. 3.8. The Presidency shall work at making Abyei area a model of national reconciliation and peace building. 3.9. Without prejudice to the wealth sharing formula agreed upon in the CPA and pending the final demarcation of the Abyei area in accordance with the arbitration award and subject to its outcome, the oil revenue from the oilfields in the areas under arbitration shall be allocated in accordance with the wealth sharing arrangements in Abyei Protocol. 3.10. The Government of National Unity and Government of Southern Sudan shall contribute fifty percent (50%) and twenty-five percent (25%) respectively from their oil revenue share from oilfields in the areas under arbitration to a fund to be established by the Presidency for the development of the areas along the North-South border and financing the joint projects presented to the Third Sudan Consortium in Oslo, Norway, May 2008. 4.1. The two parties shall resort to a professional and specialized arbitration tribunal to be agreed upon by the Parties to settle their dispute over the finding of the Abyei Boundaries Commission (ABC). 4.2. The two parties shall work out the terms of reference (compromis) for the arbitration which shall include nomination of professional arbitration tribunal, selection process of the arbitration, referred issues for decision by the arbitration, procedure of arbitration, decision making process and the enforcement of the award of the arbitration tribunal. 4.3. The parties commit themselves to abide by and implement the award of the arbitration tribunal. 4.4. The entire arbitration process including the issuance of the final award shall be done within a period not exceeding six months from the date of the formation of the arbitration tribunal, and subject to an extension for a period not exceeding three months. 4.5. In case the two Parties failed within one month to reach agreement on the arbitration tribunal or compromis or other terms of reference and rules of procedure for the arbitral process, the Secretary General of the Permanent Court of Arbitration (PCA), the Hague, shall, within fifteen days, designate an institution and finalize the rules of procedures and terms of reference in accordance with the PCA Rules and applicable international practices.